Dr. Paul Oquist Kelley is one of the world’s leading figures in Climate Change affairs overseeing a large agenda of policies and projects across Environment and Climate Change, Renewable Energy, Foreign Trade and Investment, Finance and Development, Technology and Innovation, Infrastructure and Agricultural Affairs. In 2018, Dr Kelley was elected Co-Chair of the Green Climate Fund Board. He is also a member of and represents the Latin American and Caribbean Group (GRULAC) to the UN Framework Convention on Climate Change Standing Committee on Finance, and represented developing countries on the Executive Committee of the UNFCCC Warsaw International Mechanism for Loss and Damage. 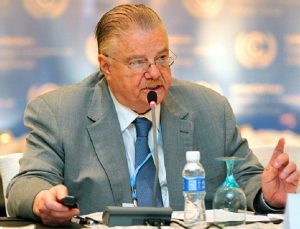 Dr. Oquist was also a two-term member of the Committee of Experts on Public Administration (CEPA) of the United Nations Economic and Social Council (ECOSOC), and he has been Head of Delegation to the Climate Change Conference of Parties for Nicaragua since COP 15 in Copenhagen.